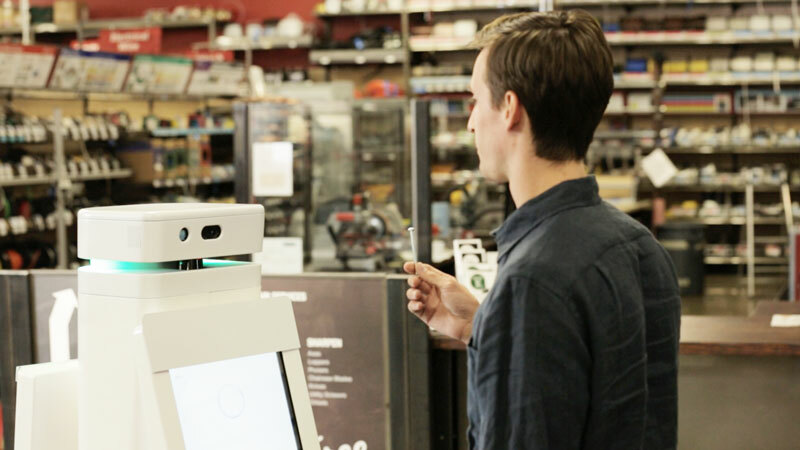 Fellow Robots, in partnership with Lowes Hardware, today launched the OSHbot as a customer assistant robot at the Orchard Supply Hardware store in San Jose. Although the robot can only give information, this trial will help determine what sort of benefit a robot assistant can provide, both to customers and to store associates.The International Federation of Robotics or IFR predicts that ‘public relations robots’ is a strong and growing sector that will see more than 400 robots deployed in the next three years. 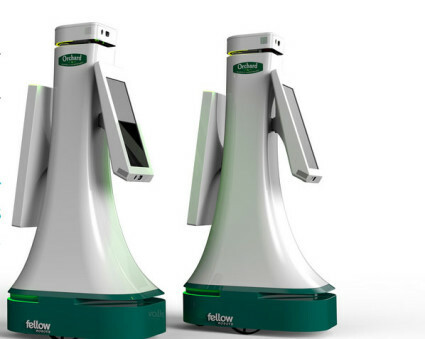 These robots are increasingly used in supermarkets, at exhibitions, in museums, and other venues as guides or information providers. The IFR figures will prove conservative if the first public relations or kiosk robots like Oshbot, Pepper and Furo, prove to be popular. OSHbot is a tall white column mobile robot with two large screens. People can interact with the tablets to search for items or more information about products, and ask the robot directly where to find things. OSHbot speaks both English and Spanish. OSHbot will also help store employees with inventory management and communicating with employees in other locations. Customers can also bring a part into the store and have OSHbot scan it, using scanning technology first developed for Lowe’s Holoroom home improvement simulator. After scanning and identifying the object, OSHbot will provide product information to the customer and help guide them to its location on store shelves. The OSHbot was developed through a partnership between Lowe’s Innovation Labs and Fellow Robots, a Silicon Valley technology company specializing in the design and development of autonomous service robots. The partnership was initiated through SU Labs, a Singularity University program that connects corporate innovation teams with startups and other organizations to explore exponentially accelerating technologies and create new sustainable business solutions. Fellow Robots have quite a vision and have clearly been busy developing a much more sophisticated robot than the telepresence robot with a coat hanger that was their first robot concept at the Consumer Electronics Show in 2013. Industrial robots in China up, up and away!